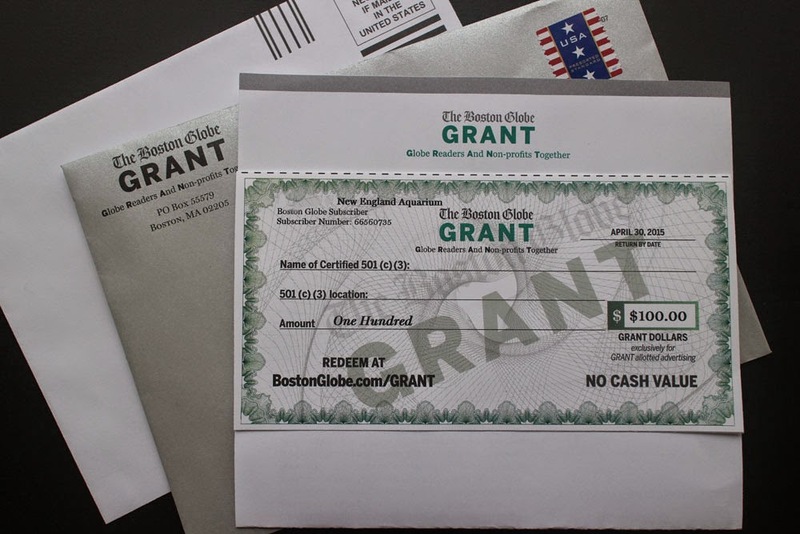 Did you get your Globe Grant envelope? Here's a great way you can help the New England Aquarium: check the mailbox. The Boston Globe is offering subscribers a chance to support their favorite nonprofit through their GRANT (Globe Readers and Nonprofits Together) program. If you subscribe to the Boston Globe (either print or digitally), now you can help the us get free advertising in the Globe! Inside you'll find a gift voucher “check” for either $50 or $100. Fill in the "check" with New England Aquarium on the first line, and Central Wharf, Boston, MA 02110 on the second line. Use the envelope provided and return your check by April 30, 2015. Whether you’re up to your elbows in mangrove waters trying to stroke the back of a passing epaulette shark or relaying questions to a submerged diver about the moray eel that's being fed nearby, you know that the New England Aquarium is the place to discover fresh, exciting ways to interact with marine life. The Aquarium is a non-profit organization that depends on the generosity of our friends, members and donors to support us in our mission to protect the blue planet. By making out your Boston Globe GRANT check in our name, you’re helping provide us a tremendous opportunity to share the hands-on, minds-on experiences you love with countless others. 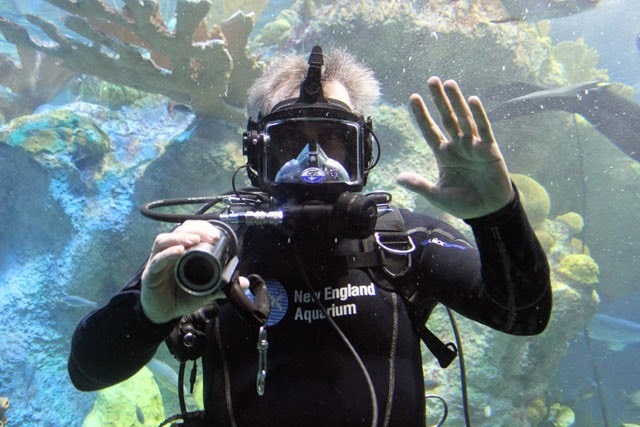 So, please, redeem your Boston Globe GRANT invite today by naming the New England Aquarium for your GRANT dollars recipient. Thank you in advance for your help and support!